Ente Keralam. The awesome kerala food place that has pretty bad food festivals! The ones during Onam are pretty ordinary (maybe it is authentic, but I didn't like it) and the previous Kuttanadan wasn't very impressive either. When invited, I mentioned that I am yet to write about my recent (very good) experience at Ente Keralam and there is a higher chance that I wasn't going to write anything good about the current food festival, and didn't deter them. I told my fellow foodie,who tagged along, not to expect much either. And when I was almost sure that I was going to write about their appams and stuff from their regular menu, the food festival surprised me. To begin with, their menu apparently was revised from their previous festival after taking all the feedback. 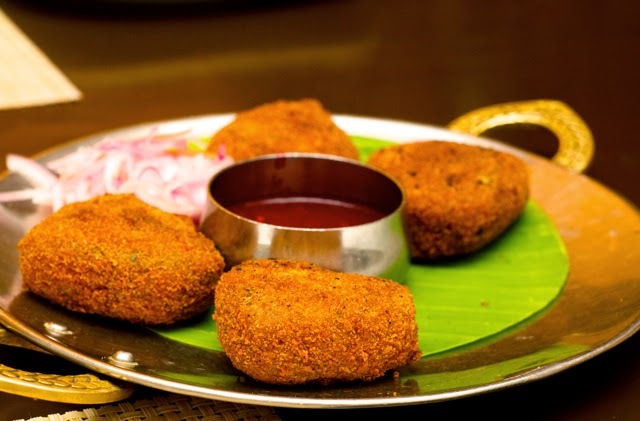 We started with the fantastic Kappa Cutlet. This is one thing I liked from their previous menu and glad it was retained. 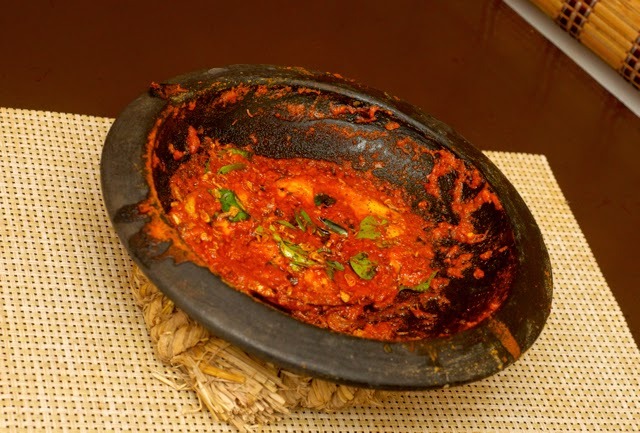 And then two outstanding starters, a masala fried fish served in a clay pot which had sent all of its flavours into the fish, and a nice grilled tiger prawns!!!! 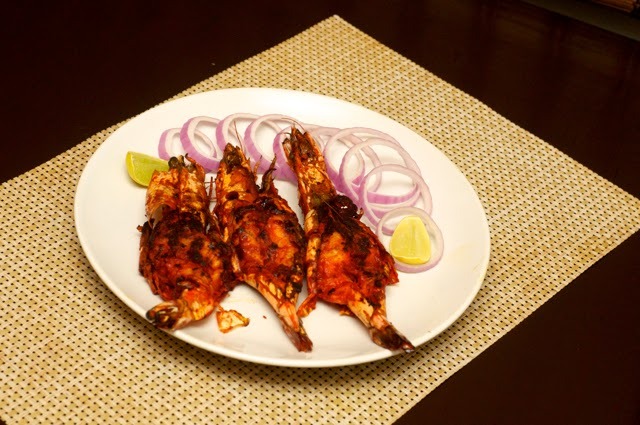 If you like smoky, then you will love the fish with its earthen flavour. It was excellent and different at the same time!!! If you don't like smoky, leave the fish alone! The prawns, were a simple grilled prawns and since I love jumbo shrimp, I loved this. Nothing more! Oh yeah, touch the fish and not the dish, because at the temperature it was served, you might have fried fingers!!!! 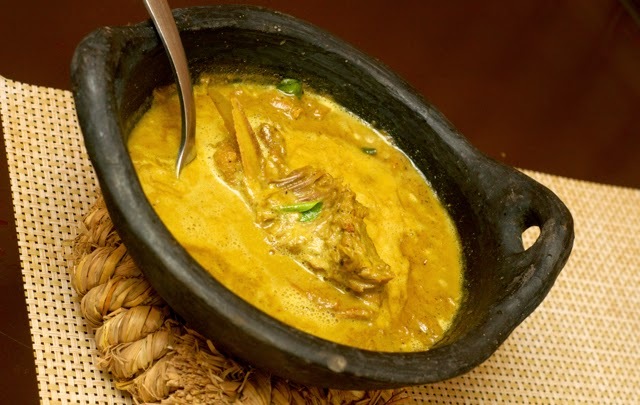 We had two gravies, a fabulous red chicken gravy called the Kuttanadan style kozhi curry and a good yellow duck gravy whose name I forgot! And then the hero of the day arrived! The pineapple puttu! It was so yummy, that I asked the chef how he made it and promised him that I won't reveal the recipe. So, here is the recipe.............. Fat chance! 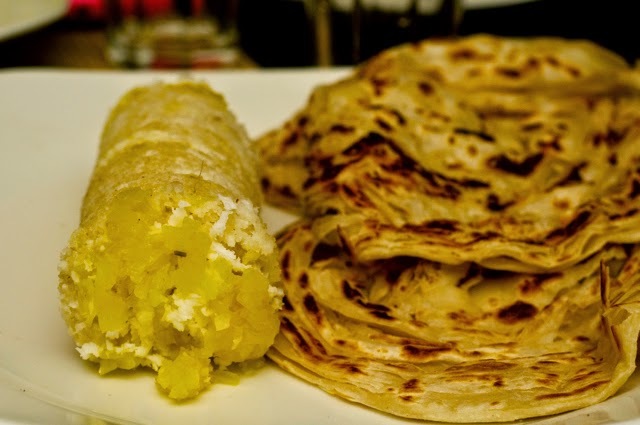 The Kerala parathas were nice and flaky as they usually are at Ente Keralam and went well with both gravies, but the hero of the day was the pineapple puttu! I hope it comes to their regular menu soon!!!! Apparently the people at Kuttanadan area (of wherever this festival originates from) don't have much of a sweet tooth, so there were no dedicated festival desserts and so we settled for their usual payasam and tender coconut pudding. Unfortunately, both weren't great that day and I know that when they don't have the festival, it tasted much better as they were my staple dessert there! Now, I will look forward to the Kuttanadan festival next year too!!!! Glad I came back with a different opinion!